“Every time you smile, I smile and every time you shine, I’ll shine for you…” Wait, I’m supposed to be reviewing a game, not a song. Yep, a game title that is exactly the same as Taylor Swift’s song. Anyways, they both have no link at all. 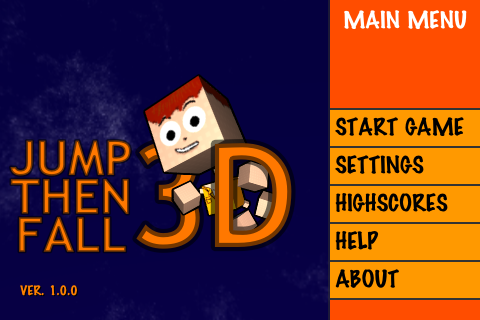 Jump Then Fall (a song but in this case a game) is a puzzle maze kind of game for the iPhone and the iPod Touch. 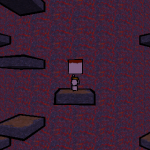 Instead of a normal maze, you get a 3D version of it. It is currently out for $0.99 in your local appstore. 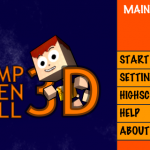 Jump Then Fall is a very simple yet challenging game. There is only 1 objective in the game. Get to the top of the tower. 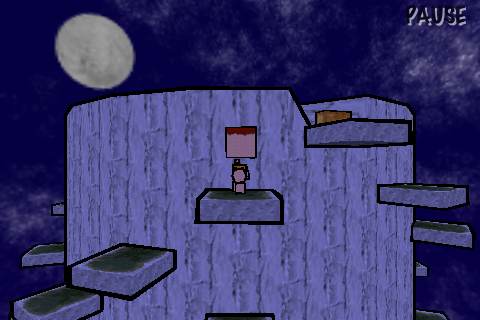 To do so, you jump from platform to platform as you make your way from the bottom right to the top. It turns out to be like a maze but is simply presented in a 3D perspective with several tweaks. 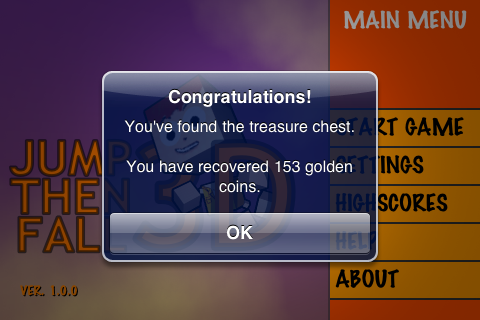 Once you reach the top, you get gold (points) and the faster you finish (I think) the more gold you get. The gold only has one purpose though, the high score board. 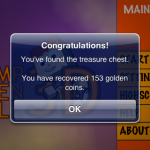 Simply play and the amount of gold gets accumulated each time you complete a level. There are two modes and 3 difficulty settings. One mode (the only way to get gold) is the random mode. 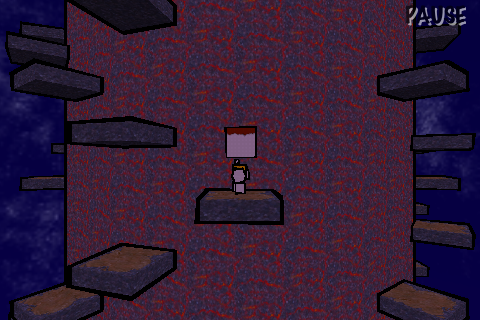 It basically means that the level will be randomly generated for you to complete. The other mode is the custom mode where you can input in values of any sort and it generates a level based on the value you inputted. You can of course input random values and get the levels generated but the main purpose is basically for you to challenge a friend or something (seeing who can complete the fastest etc). 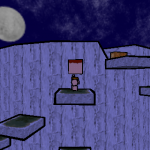 The 3 difficulty settings changes the height of the tower, meaning that you have a bigger maze to complete. The routes and path increases as well so you do have to plan ahead if you do not wish to meet a dead end. Controls are simple. press on the platform next to your character to make it jump on it, pinch to zoom in or out, drag to view the rest of the tower. The game graphics are way too simplistic and simply unappealing. I mean besides from the background colours varying from levels to level, you are going to see the same old thing over and over again. The character that you control is drawn rather shabbily and the game is simply just not that good to look at. Nonetheless I guess puzzle games are more of thinking rather than looking. 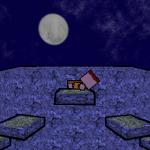 Music in the game repeats and gets tiring after some time, sound effects are present but not necessary (what I mean is with or without sound doesn’t actually matter much). Other than that, this game promises billions of levels (since they are randomly generated, I guess the levels will be infinite). 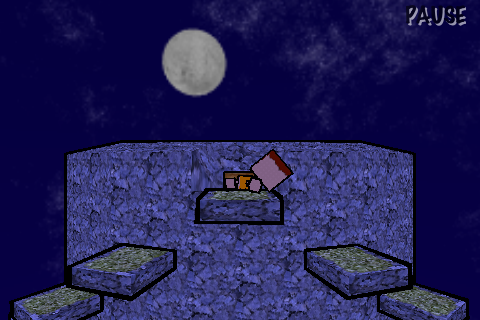 But with the lack of motivation or any reward of any sort, the gameplay gets dull after some time. Sure it is a puzzle game but maybe some innovation on the aspect to keep players playing is greatly needed. Maybe a multiplayer mode that allows two players to challenge timing on the same puzzle side by side, maybe some kind of achievement system (even though I find it utterly pointless in many games but at least there is something no? ), the game at its current state is fine and definitely serves its purpose, but time will definitely wear the game out.